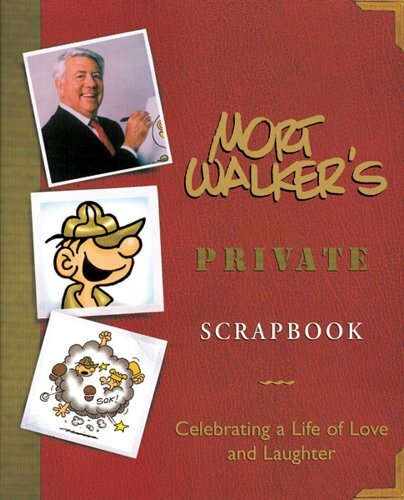 Today’s Guest: Cartoonist Mort Walker, dean of American comic strip creators, creator of Hi & Lois, Beetle Bailey. 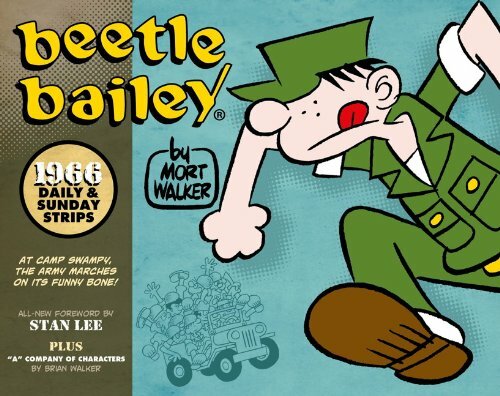 Order Beetle Bailey: The Daily & Sunday Strips 1966 by Mort Walker, available from Amazon.com by clicking on the book cover above! WALKER: I used to take art courses until I suddenly got the idea when I was in high school that if I was gonna do a comic strip, which was my lifelong ambition to do, that was what I was preparing for, and I thought, If I just am an artist, I’m gonna have to pay somebody to write my ideas for me. And that means I’ll only make half as much money. I started taking writing courses instead of art courses. I took a couple because they were usually snap courses. I’d always get an ‘A,’ and I didn’t have to do any homework or anything like that. But after I came to New York and started doing cartoons, I was a top-selling magazine cartoonist in the country in 1948, a year after I got out of college. My art teacher in Missouri University used to hang up my drawings and say, “An example of fine art in cartooning.” They were trying to get some credit for me. 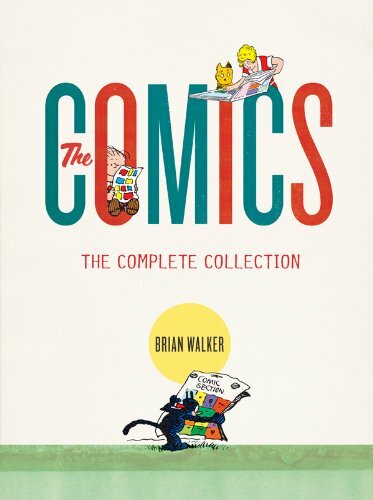 Order ‘The Comics: The Complete Collection’ by Brian Walker, available from Amazon.com by clicking on the book cover above! Wonderful interview, Bob. Thanks very much for doing it and sharing it. What an amazing and wonderful career! Only questions I’d like to have seen asked were his thoughts about Bill Watterson (and Bill’s comments about Mort’s strip) and what happened to the rest of his creative team; in his delightful book, BACKSTAGE AT THE STRIPS, he mentions “working with five other men who are more partners than staff and more friends than partners”: Dik Browne, Jerry Dumas, Bob Gufstafson, Bud Jones and Frank Johnson. 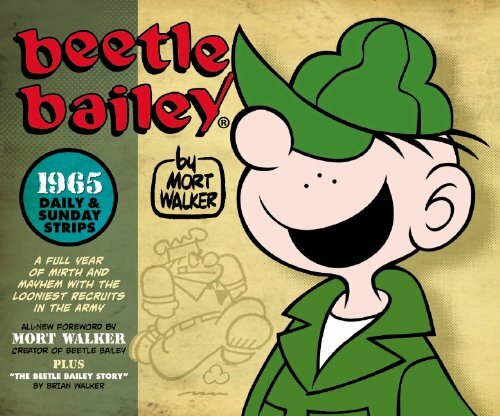 Some are no longer with us, so I’d be curious to know who’s working on what, or if Beetle is really now just back to Mort and his son. So glad you enjoyed it, Mike! Lots more cartoonist interviews on the site here if you search “cartoonist,” too!